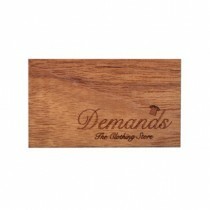 We use sustainable plantation grown Teak from a local trusted source. 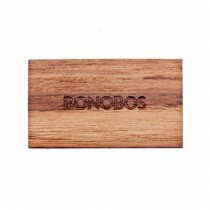 The color and quality of this material is equal of old growth and makes for rich business or VIP cards. 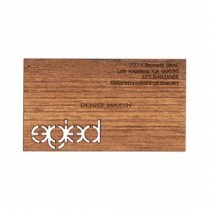 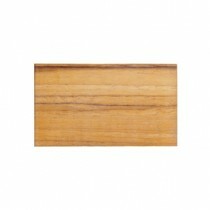 Our Teak cards are available in regular continuous grain or for that precision look, vertical grain. 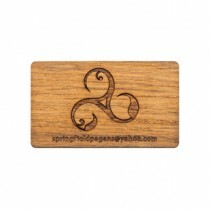 Made from a favored hardwood for furniture building, these cards are luxurious. 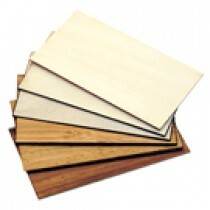 We offer custom cards in a variety of materials including bamboo, alder, birch and basswood.Upload your card easy use standard size cards download a template.